Present coupon or show smartphone on vehicle write-up. See your Service Advisor for details. Service includes: Free visual brake inspection. Service includes: flush of power steering fluid. 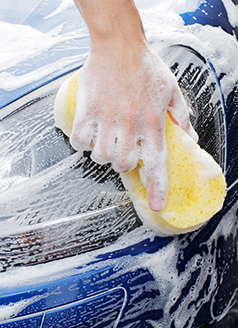 Service includes: Full extrior and interior detailing service. Appointment required. Vehicle will need to be with us up to 6 hours. Service includes: removal and replacement of cabin air filter. Service includes: align four wheels. No appointment necessary; service while you wait! When it comes to keeping your vehicle going strong, you know there are things you have to do. Those "things you have to do" involve making appointments with us here in our service center at Suburban Nissan of Troy, were we have a team of experts who are here for maintenance and repair on your Nissan vehicle, as well as a variety of other brands. When you bring your vehicle in for regular service, that's a good thing because it ensures that you're going have a vehicle that functions at a high level. At the same time, we want you to experience savings when you visit us for service, which is why we offer many different specials. When you're in need of a simple maintenance task like an oil change, which is important at regularly scheduled intervals to keep your vehicle going strong with clean filters, maintaining efficiency, and much more, as well as a host of other services like brake pad replacement, tire rotations, winter tire installation, along with others, we're the place to come. And, with the savings and coupons we provide on a monthly basis, you get a chance to take advantage of specialized services we offer. 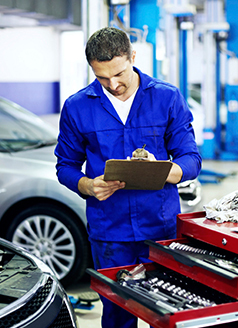 This service specials are always changing to reflect the season and what people most need when it comes to vehicle health year round, so it's always in your best interest to take a look back with regularity to see what you can use. If you have any more questions or need a service appointment, contact us here in our service and maintenance center serving Troy, Southfield, Sterling Heights, Warren, Roseville, MI and the greater Detroit area, as we'd be happy to answer any questions you might have, and set up a time for you to bring your vehicle in.